Like I need any more reasons to go medieval on a fat plate of tasty cheese. 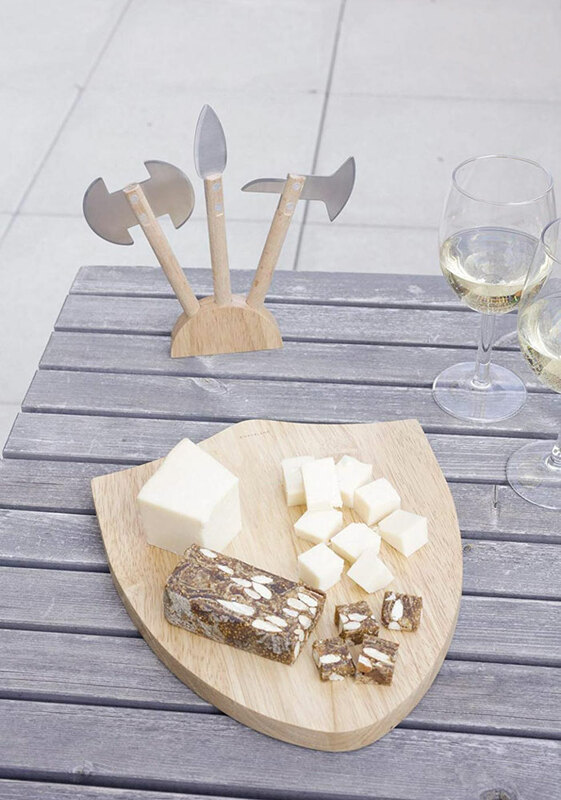 But OK, Medieval Cheese Board, I'll up my slicing and spreading game with your battle axe for the triple creme Brie, double headed axe for my Point Reyes Blue-gorgonzola tag team, and spear for, what do you think, a nice Double Gloucester? 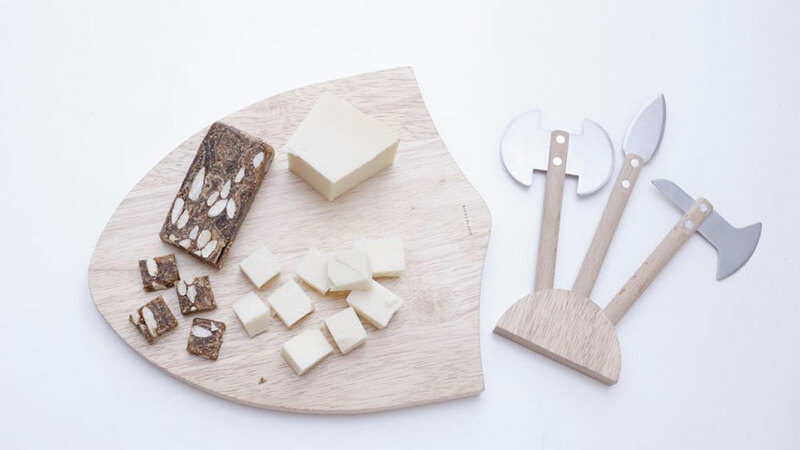 The board portion of the Medieval Cheese Board measures 10.5" x 9" x 0.75". 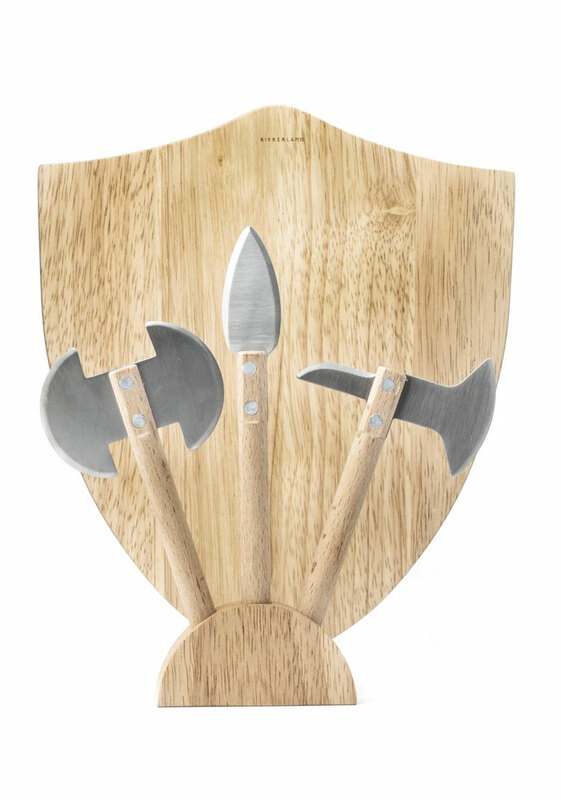 It comes with all 3 pictured weapons / cheese knives, plus their semi-circle display rack.